TORONTO -- Ottawa should create a new agency to oversee the rollout of a national drug plan, a federally struck expert panel said Wednesday in laying out what it called the "building blocks" of the program. In its newly released interim report, the panel said the federal government should also develop a national list of drugs to ensure consistent coverage across the country and allocate funding to gather better data on prescription medications. The report does not, however, say whether the pharmacare program should follow a single-payer model in the style of the country's universal health care system or adopt another format. Eric Hoskins, the former Ontario health minister chairing the panel, said a "detailed blueprint" will be presented in the final report due this spring. "If there's one sort of absolutely consistent point among everyone that we've engaged, it's that too many people are falling through the cracks, that the current system is inadequate, that it's not effectively meeting the needs of many, many millions of Canadians," he said in a Toronto news conference announcing the interim recommendations. Hoskins said the panel has spent the last few months parsing through submissions made by medical professionals, stakeholders and patients through public meetings and online questionnaires. The government said it will consider the panel's interim recommendations while it awaits the final report. "Canadians should not have to choose between paying for prescriptions and putting food on their table," said Health Minister Ginette Petitpas Taylor, calling pharmacare the "missing piece" in Canada's health-care system. The issue is likely to loom large in the run up to this fall's federl election, with the New Democrats already promising a universal, public program if elected. The Liberals are widely expected to make a similar pledge. NDP Health Critic Don Davies expressed disappointment at the interim report, saying the government had missed an opportunity to commit to real change in national drug coverage. "Today's report leaves the door open to a private, U.S.-style patchwork system of coverage, and it fails to recommend the system that delivers the best results for patients: a public, single-payer delivery model," he said in a statement. Others said they were pleased with the panel's interim recommendations. "This is a positive first step towards developing our universal pharmacare program," said Melanie Benard, the national director of policy and advocacy at the Canadian Health Coalition. 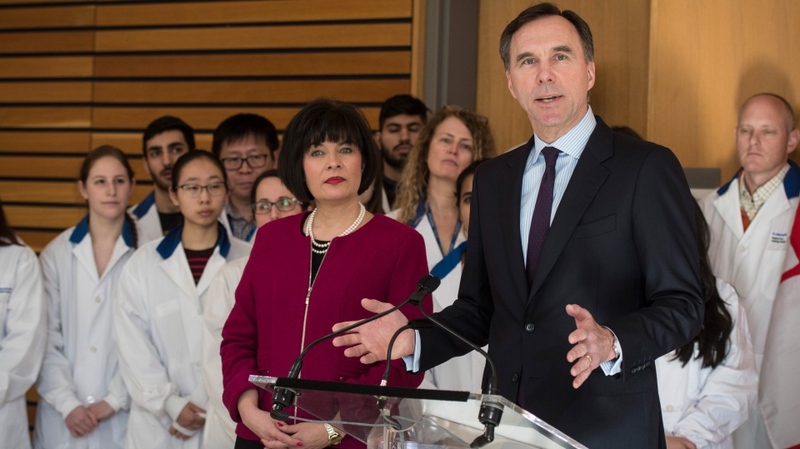 "The interim report outlines some of the fundamentals needed to build an effective, single-payer universal pharmacare program," said Linda Silas, president of the Canadian Federation of Nurses Unions. "While we are still waiting for some very important details in the final report, it's clear that Dr. Hoskins's advisory council is heading in the right direction." The Canadian Institute for Health Information says drugs are the fastest-growing component in health spending but unlike hospital care and doctors' visits, most people's medication needs aren't covered by public health insurance. The interim report said drug spending in Canada is expected to surpass $50 billion by 2028, up from $34 billion in 2018. An analysis by the parliamentary budget officer estimated a broad coverage regime would cost $20 billion a year. Canada currently has a variety of drug plans administered by provinces -- mainly for children, seniors and people on social assistance. A plan managed by the federal government offers coverage to other groups, such as Indigenous people and members of the military. Private insurance fills the gaps for some. British Columbia Health Minister Adrian Dix described the panel's interim report as encouraging, but cautioned that the provinces still pay the bulk of prescription drug costs in Canada. "This is another step forward, but if we're going to achieve more coverage for more people, it will require the federal government to step up," he said. "It's very positive to see the interim report, but ultimately this issue will be about whether the federal government is prepared to cost share or not."